rodeasdown.com.au – Are camera phones killing photography? Are camera phones killing photography? I’ve never had much time for camera phones. It takes almost ten seconds to get mine up and operating by which time the moment’s usually gone. The image quality deteriorates fast on zoom and enlargement, there’s a lack of anything but auto exposure and I hate that almost everyone shoots what should be landscape (horizontal) pictures in portrait (vertical) mode. 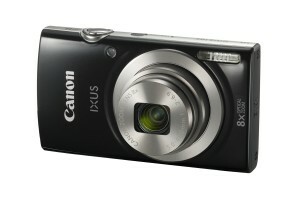 My Canon Ixus is significantly smaller and lighter than my phone and murders it for picture taking in every respect. Paul Burrows has edited Australian Camera magazine since Kodak Tri-X Pan film was a photography staple and I figured he’d have similar views. And he does, but for entirely different reasons. He says phone cameras are devaluing photography. He calls it the ‘snap, share and instantly forget’ mentality. “So many images are being lost because no thought is being given to how they’re stored or even retrieved,” he said. “Not only is nobody making prints anymore, only a handful of people manage their image files adequately. Photography has become another victim of the throw-away society and camera phones facilitate this. They have turned picture-taking into something that’s mindless and consequently no longer valued. “A good proportion of the massive NSW State Library photography archive is made up of family albums and unearthed shoeboxes of old prints. They’re considered generally more valuable historically than professional photography. A good deal of social history has been written in photographs, often snapshots, that indirectly document much more than just the subject matter; things like fashions, cars, architecture and so on. Pictorial archivists are already lamenting the loss of this source of social documentation. “The camera industry’s big failure is that it has never attempted to sell the concept that photographs, as memories, are valuable and that a camera, a dedicated tool for photography, adds this value,” Burrows said. I bought an Ixus 165 three years ago – it cost the same as the DSLR charger I’d left back home so I went with it instead – and it’s brilliant. 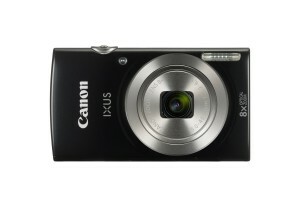 The current entry-level Ixus 185 (around $150 most places) has an optical zoom lens from 24-mm wide-angle to 192-mm telephoto, dead easy controls, excellent flexibility, great image quality and it’s ready to shoot in one second. It’s a point-and-shoot masterpiece that does more than point and shoot. 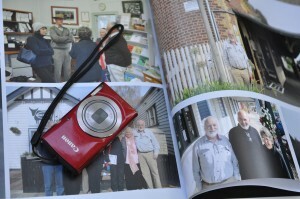 Nikon’s Coolpix A100 is a strong alternative. Both blow camera phones into the weeds.